Enjoying northerly views of the harbour and accessible to all Westpac staff, the Reflection Pods are a highlight of the Kent Street overhaul, representing the bank’s strong commitment to their Reconciliation Action Plan. 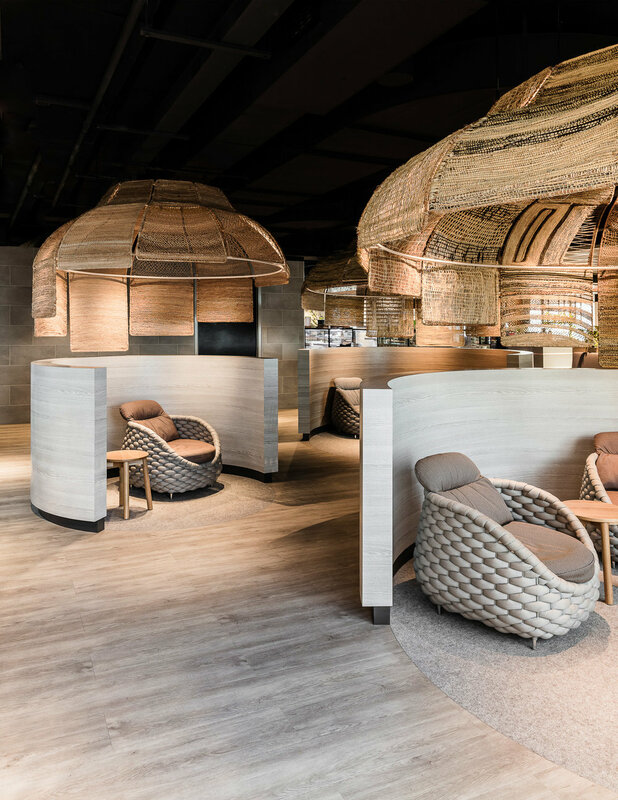 “In designing our refreshed workplaces it was important for us to involve Indigenous artists and acknowledge and include the perspective of Indigenous Australians, to share local stories of place and culture. The concept and design of the Reflection Pods was developed by Lucy Simpson, a proud Yuwaalaraay woman and the Director of Gaawaa Miyay Designs. 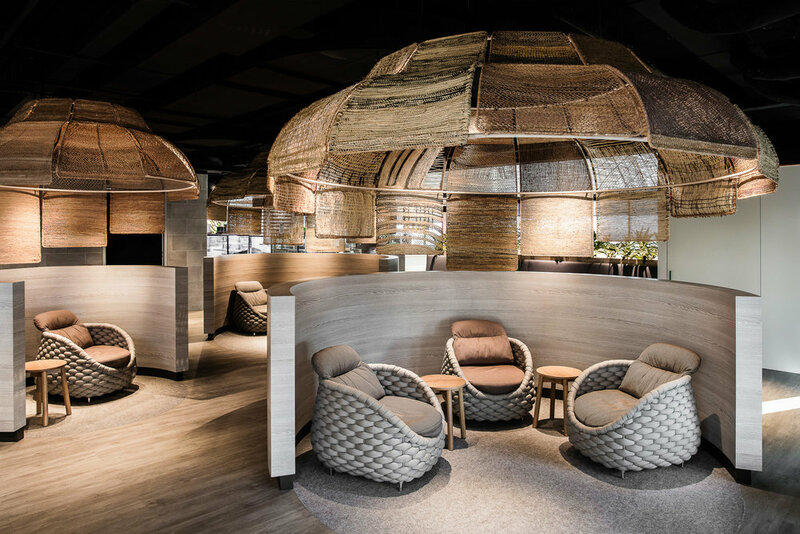 She has been working with Westpac for six years and created ‘Westpac Weave’, a design concept that has come to embody the bank’s Reconciliation Action Plan. Lucy was asked to extend this concept for a site specific response at Kent Street. Her proposal was inspired by convergence, continuity and referenced the strong women and saltwater story of matriarchal Sydney and the importance of community, making and knowledge transfer. “One of the considerations was that the installation was to be situated in a kind of a thoroughfare, but within this communal activity we also wanted to create a space for reflection and also a quiet space for contemplation – to balance the energy and hold a quieter presence. 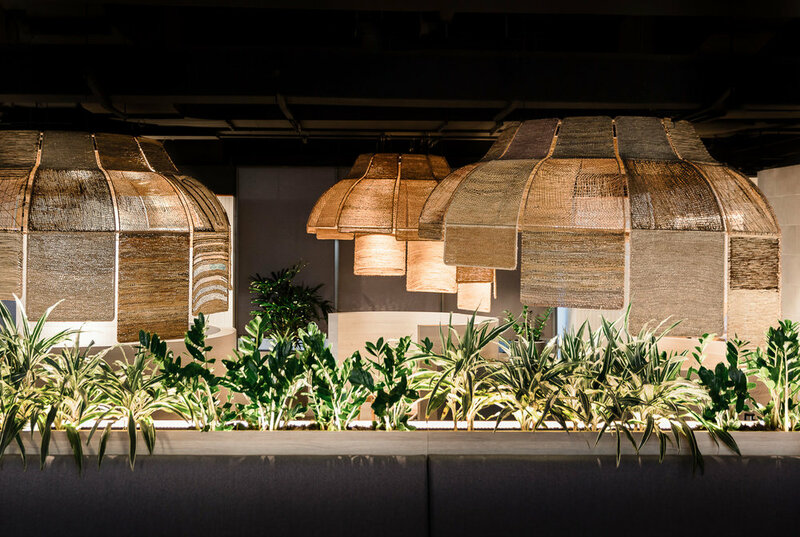 As well as offering shelter, Westpac wanted to incorporate natural materials and a human touch, values that were part of the original vision for the new floors. Geyer worked on the interior design for Kent Street and worked with Lucy to interpret her designs into structures. 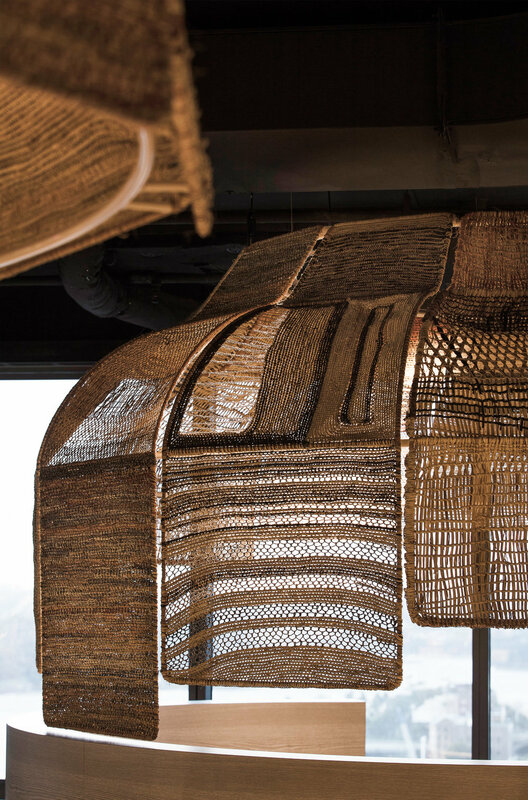 Each pod is made up of series of handwoven panels, which are like petals extending outwards. Joinery underneath mirrors the shape, and some panels extend downwards to further create a sense of being cocooned. Koskela started working with the Yolngu weavers from Elcho Island Arts in 2009 to develop a series of pendants lights known as Yuta Badayala. The phenomenal success of this collaboration cemented Koskela’s commitment to working with Australian Indigenous communities and has led to several more collaborations with Indigenous owned and run art centres throughout Australia. 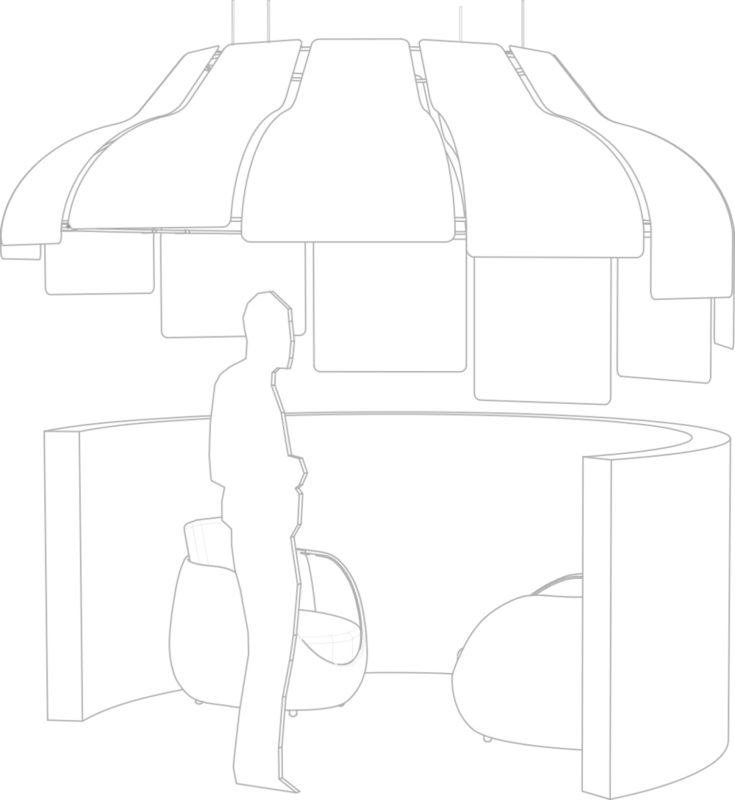 We now allocate 1 percent of profits (roughly 10 percent of revenue) towards developing these social enterprise projects, and part of this fund was put towards the Reflection Pods. 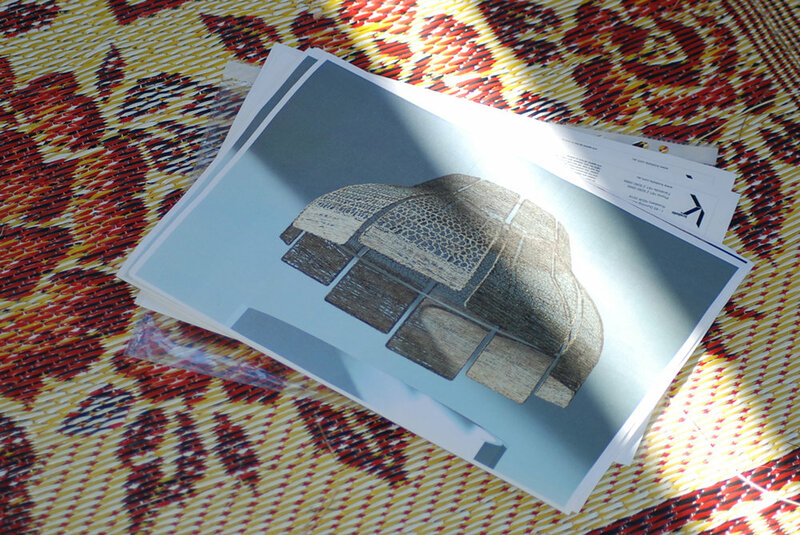 Given the scale of the weaving work, in addition to working with Elcho Island Arts there was an opportunity to involve Milingimbi Art and Culture as well. 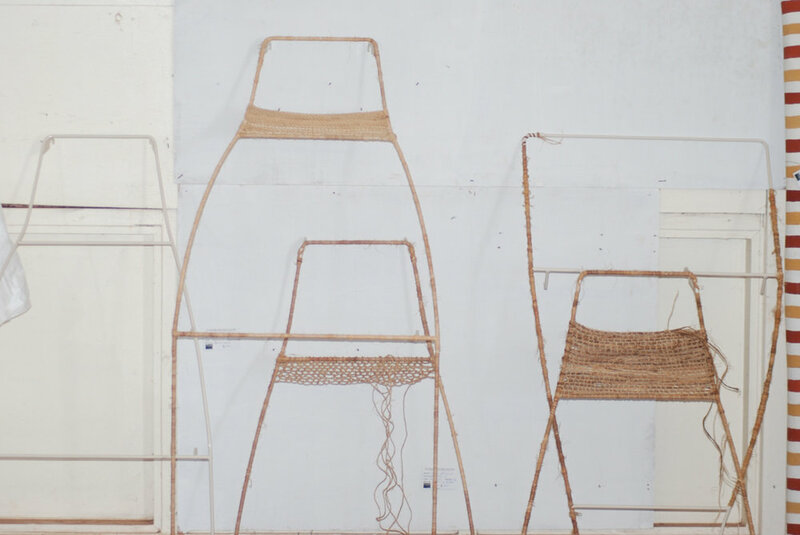 “They have some really experienced weavers and also fantastic Art Centre management, which is an important component of these types of projects,” says Sasha Titchkosky, Co-founder and Co-director of Koskela. 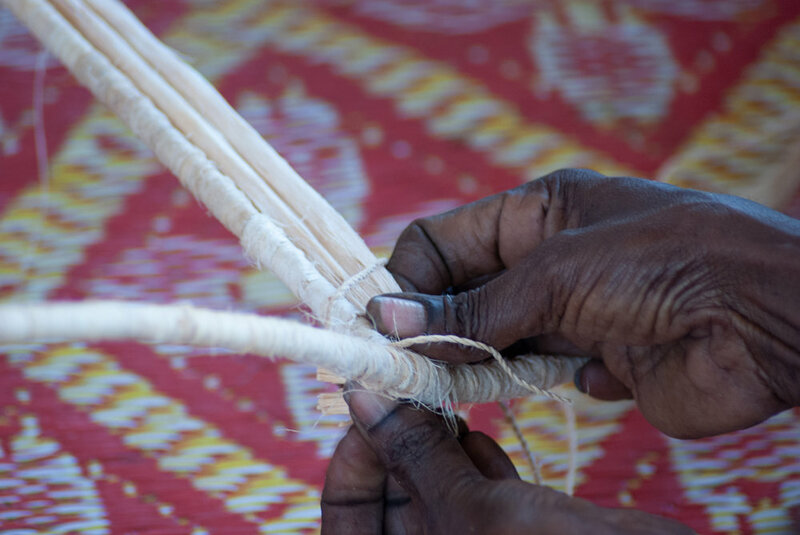 Weaving has a long history in Yurrwi (Milingimbi) and the recent large-scale project in collaboration with Koskela brought dharrwa yolgnu (lots of people) together. Some of us are family and some Yolngu (people) we didn’t know, some of us have been weaving for a long time and a few are just starting to learn, we are from different clans and live in different camps but all of us are working together. “They have some really experienced weavers and also fantastic Art Centre management, which is an important component of these types of projects. — Sasha Titchkosky, Co-founder and Co-director of Koskela. In regards to Indigenous culture and community, the benefits of a large-scale project such as this are immeasurable. Not only does it provide guaranteed income, it also galvanises the artists and piques the interest of younger generations. 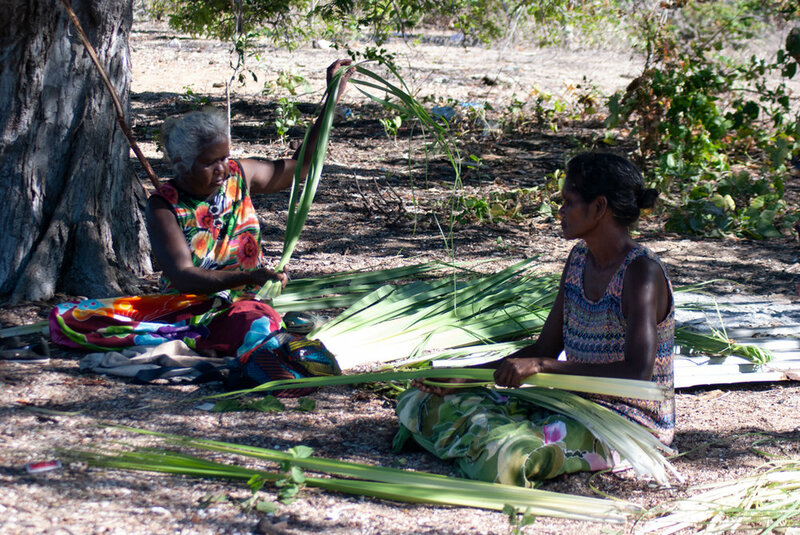 The bolstered tradition of weaving helps to carry forward the Yolngu gurrutu (Yolngu kinship system). “Gurrutu is key to the strong intricate fabric of Yolngu culture,” says Rosita. The artist statement also speaks to this: We come to the art centre every morning doing djama (weaving work). Going home keep doing djama 5, 6, 7 o’clock lights on now. 8, 9 o’clock. At the wanga (home) the grandchildren are helping, collecting firewood and roots, bark and leaves (used for dying natural fibres). This is how they learn their culture and law. According to Lucy, Australian Indigenous design is the amalgamation of beauty, functionality and story, and in this regard the Reflection Pods are an outstanding success. 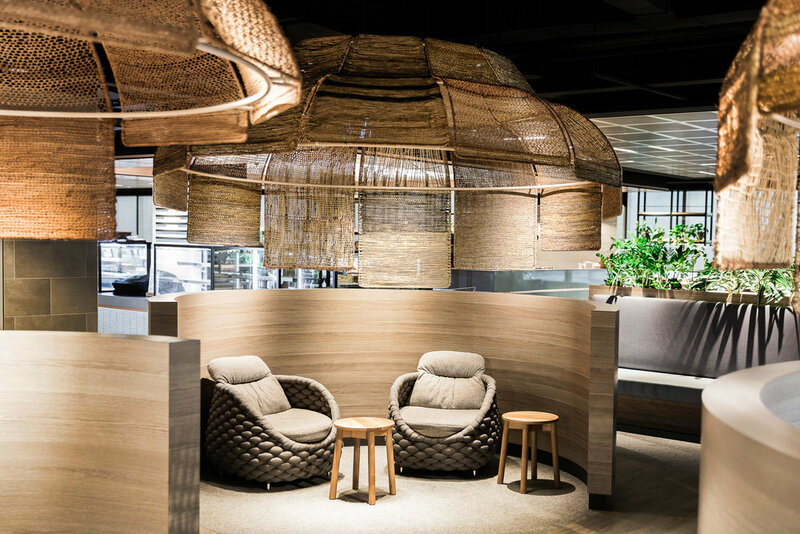 They function just as intended – Westpac staff are able to see if one is available at a glance and enjoy some peace and quiet in an open-plan environment. Beyond functionality however, they are an incredible art installation and a wonderful example of the strength of community, connectedness and continuity celebrated across all Aboriginal nations – from Sydney Harbour all the way up to Arnhem Land. Combining modern workplace design with cultural tradition and social enterprise, the Reflection Pods really are a huge credit to all involved.